Authors: J. Bobin, F. Sureau , P. Paykari et al. Recovering the cosmic microwave background (CMB) from WMAP data requires that Galactic foreground emissions are accurately separated out. Most component separation techniques rely on second-order statistics such as internal linear combination (ILC) techniques. We present a new WMAP nine-year CMB map with a resolution of 15 arcmin, which is reconstructed using a recently introduced sparse-component separation technique, called local generalized morphological component analysis (LGMCA). 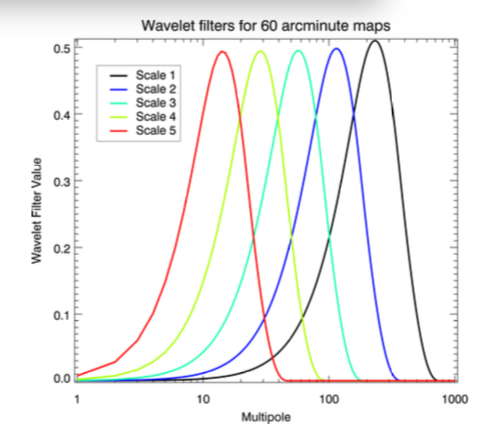 This focuses on the sparsity of the components to be retrieved in the wavelet domain. We show that although they are derived from a radically different separation criterion (i.e. sparsity), the LGMCA-WMAP 9 map and its power spectrum are fully consistent with their more recent estimates from WMAP 9.